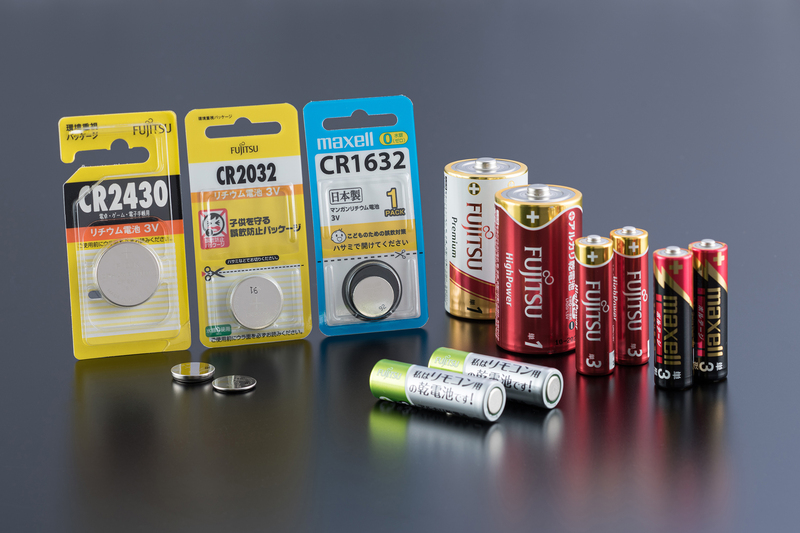 Batteries are an indispensable part of people's lives and our technology supports their evolution. 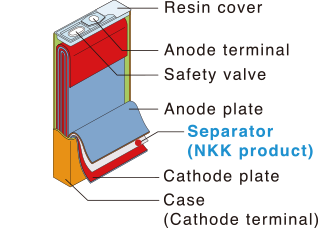 Batteries are very familiar to use as the power supplies for not only flashlights, cameras, and wristwatches since years past, but also for digital cameras, IC recorders, mobile phones, personal computers, and a wide range of other electronic devices in the electronics field and the market for them continues to grow steadily. 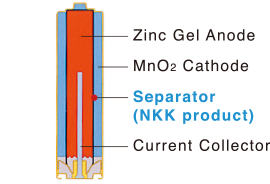 NKK supplies battery makers in Japan and overseas with approximately 80 types of battery separators. 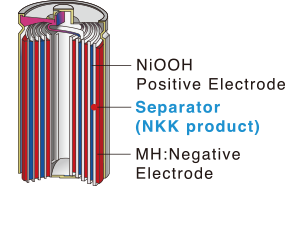 For the separators for alkali batteries and lithium batteries as well as for lithium ion batteries, the demand for which is expected to grow greatly in the future, NKK has developed the world's first plant-based high-performance cellulose separator to improve the quality stability and performance of those batteries. 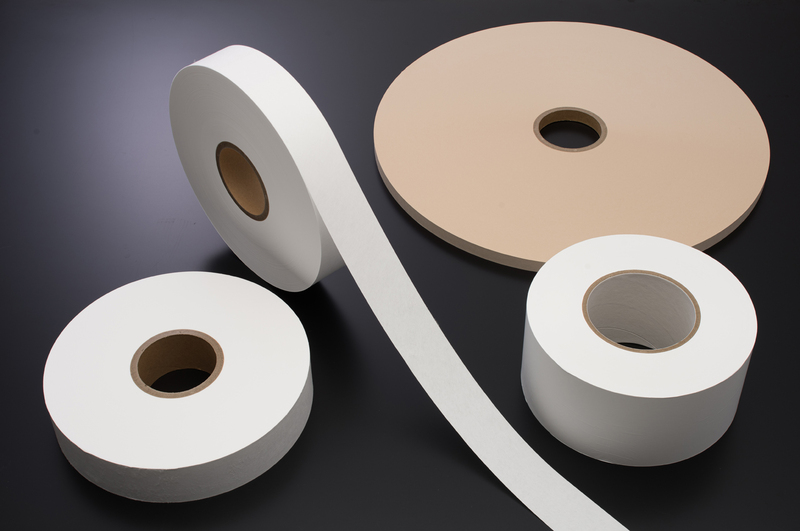 They are already being used in electric automobiles and elsewhere.